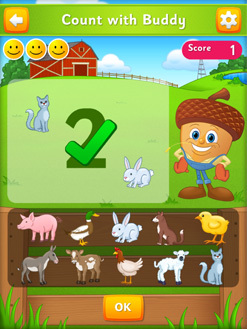 Released in April 2013, Eggy Numbers 1 to 10 is a fun and motivational app for the iPad and iPhone that teaches children aged 3+ how to identify, write and count numbers 1 to 10. Developed by the creators of popular online learning programs ABC Reading Eggs and ABC Mathseeds, Eggy Numbers 1 to 10 includes 7 highly interactive numeracy games that allow children to take full advantage of the intuitive, touch sensitive interactivity of the iPad and iPhone. Three games focus on teaching children how to write each number – first by tracing over a dot-to-dot and number shaped visuals, then by drawing the number from memory. Four more games develop a conceptual understanding of numbers and their value, where children need to count items and match numerical values to pictures. With its intuitive hands-on activities, engaging visuals, fun music and playful sound effects, Eggy Numbers 1 to 10 provides a highly motivational and rewarding learning experience. 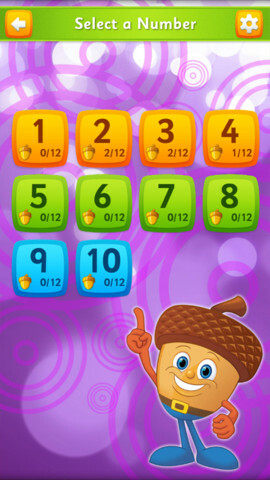 Children love learning with their helpful guide, Buddy the Acorn, and stay motivated by collecting 18 crafty critters and 138 golden acorns! Our favourite features of Eggy Numbers 1 to 10 are the counting games (Count with Buddy and Number Ring) that allow children to use the ‘touch and drag’ motion to count and group pictures, as we all know how much children love to touch and move things around when counting! Eggy Numbers teaches young children to identify, write and count numbers 1 to 10 through a series of seven interactive numeracy games. 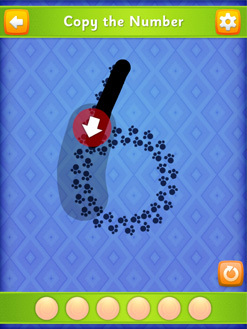 Using the interactivity of the iPad and iPhone, three games focus on teaching children how to write each number by tracing over dot-to-dot numbers, and drawing numbers from memory. Four more games develop counting skills using fun and rewarding games. With its hands-on activities, engaging animation and motivating rewards, Eggy Numbers 1 – 10 provides a rewarding learning experience for young children. 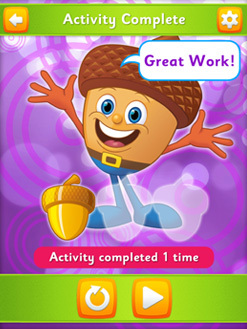 Buddy the Acorn will guide your child and help them stay motivated to collect 18 new critters and 138 golden acorns!